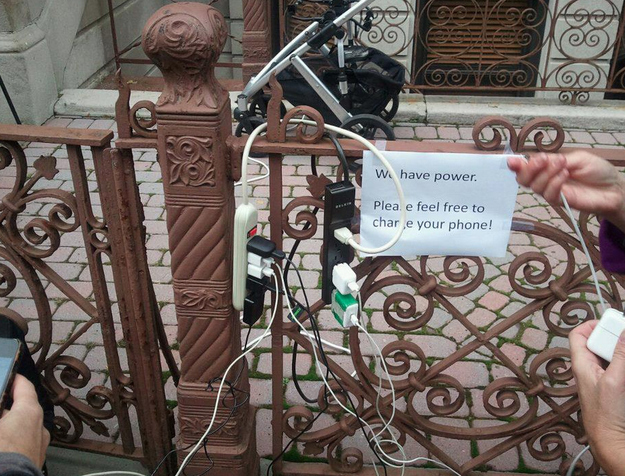 These 20 Photos Prove That There Are Still Very Good People Out There. Yes! We always complain about the world getting selfish. And it’s true. We switch on the news channel, watch people dying everywhere in the world due to crime, violence, terrorism or natural disasters, and the most we do is post a Facebook status expressing our sadness about it. And then we forget about it and get busy in our lives. We are so busy in our lives, we have become impassive about what is happening around us. But if you thought good people have been wiped out from the face of this earth, you stand wrong. 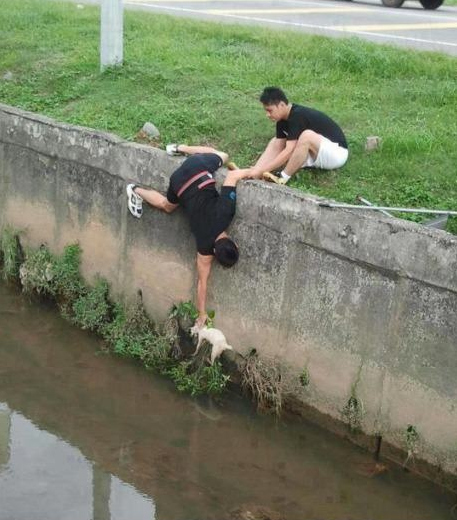 Here are some photos that show good people still exist in the world. They are people who feel for others’ pain and try to do something more meaningful than posting a Facebook status. They took out time from their busy routines to do something solid for the people who needed their support. Scroll down and have a look at these photos that will restore your faith in humanity. I know that feeling when your baby is crying out his lungs and you know all the other passengers in the plane are getting disturbed. And I know the feeling when you want to sleep but the kid in front of you is crying and you feel like throwing him out the window. 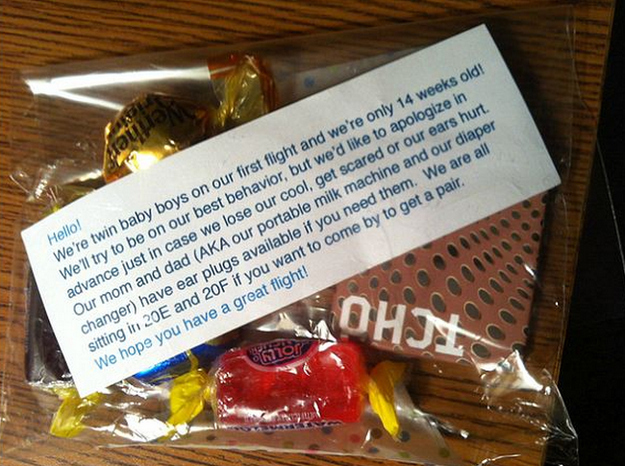 Hence, this little package distributed by parents is a thoughtful gesture. Everybody donates clothes and food to children in need. 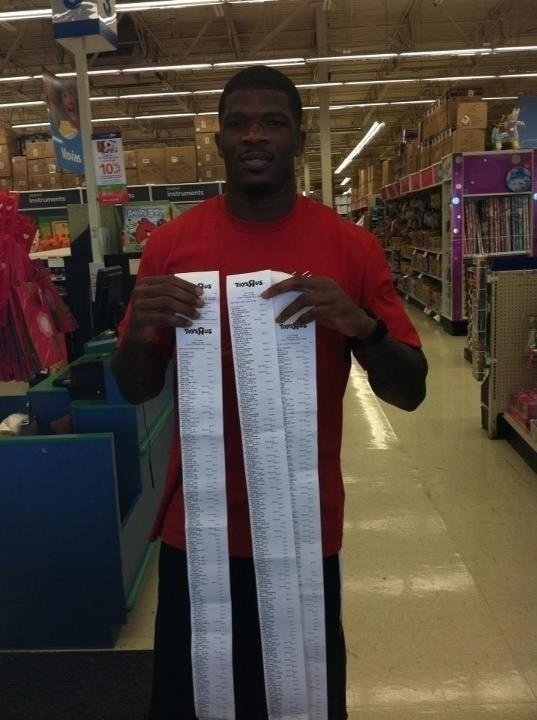 But very few take them to a toy shop and give them a shopping spree and a get a bill of $19,000 for only toys. We often see rescue workers saving the lives of people and animals. But this photo of two young brothers who worked together to save the life of a cat is heart-warming. 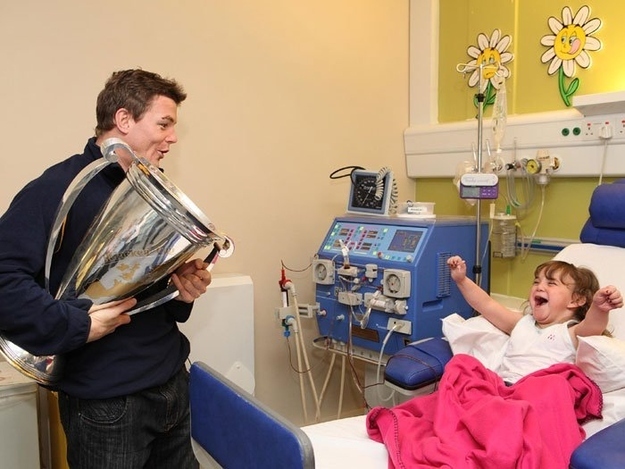 This young girl who got a visit by his favorite rugby player would have certainly seen the happiest moment in her life. Hats off to this famous player who took out time from his busy schedule to visit his fan and make her happy. We thought unconditional love has ceased to exist in today’s world. 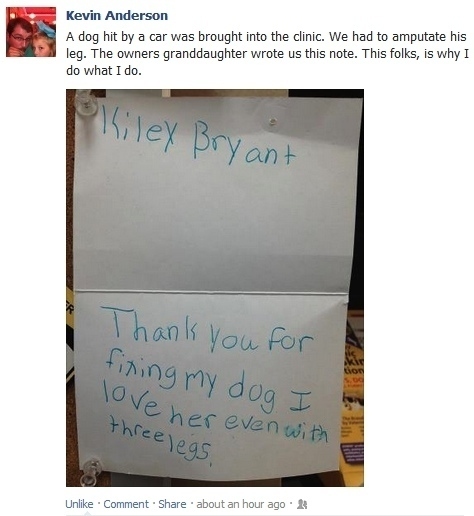 But this small thank you letter from a little girl restored our faith in humanity. Good people still exist today! People often put their lives into risk and danger for saving other people’s lives. 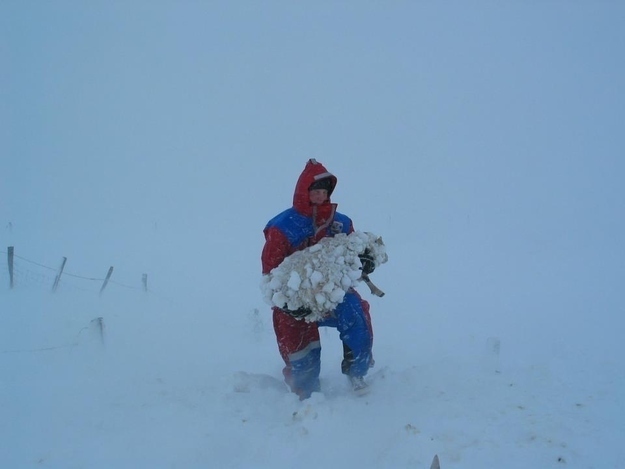 But this story of Iceland rescue workers who risked their lives to save a sheep is truly heartwarming. I have been baffled at how some people can be so rude to children. Even if they go to shake hands, they give a frown to them. 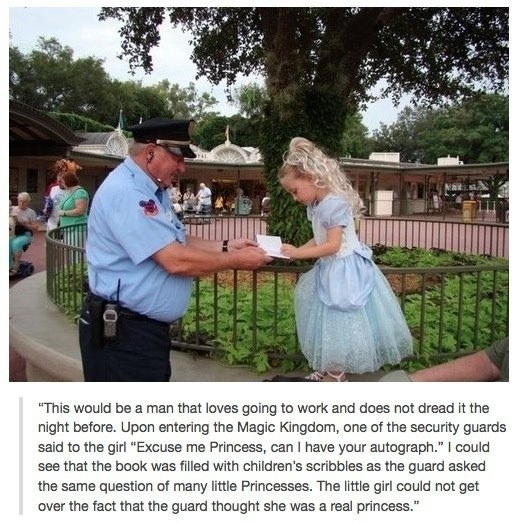 But this Disney Security Guard is anything but that. He keeps a small diary with him and takes autographs of children. 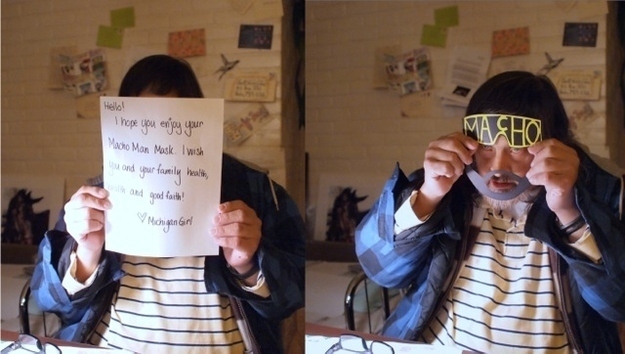 Here is a photo of him taking an autograph of a girl whom he called princess. How happy this girl would be! How many of us give a second though to homeless men around us? But this woman was so caring and kind, it is the true presentation of human kindness. 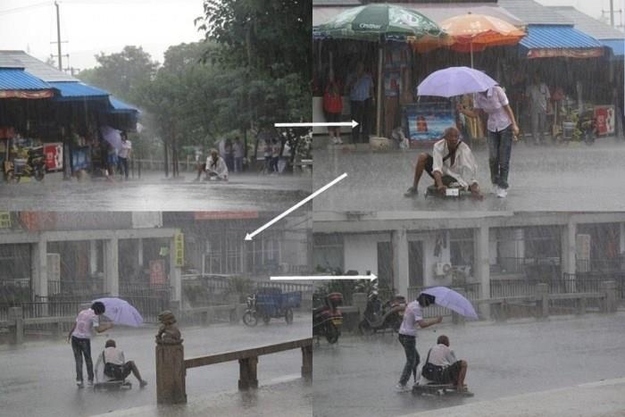 She covered this homeless man with her umbrella while he moved across the road to the covered path for shelter, getting wet herself. 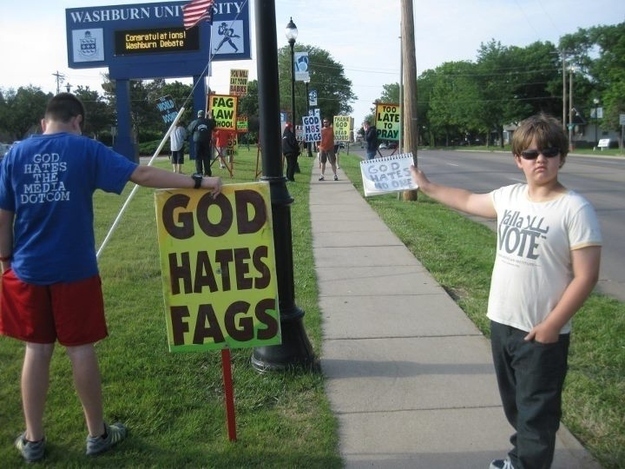 In a place where everyone is holding hate signs, this brave child is showing a sign that says “Gad Hates No One”. 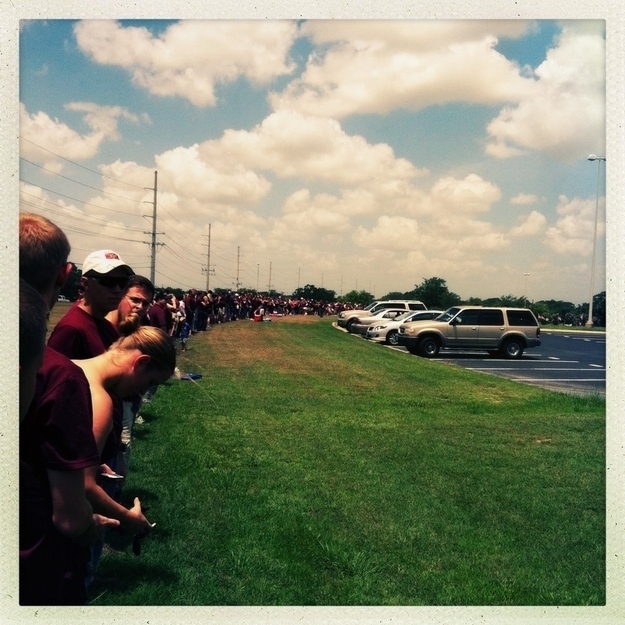 When students got the news that protesters from Westboro Baptist Church planned to protest the funeral of a soldier, they formed a human wall around the funeral service to block them. 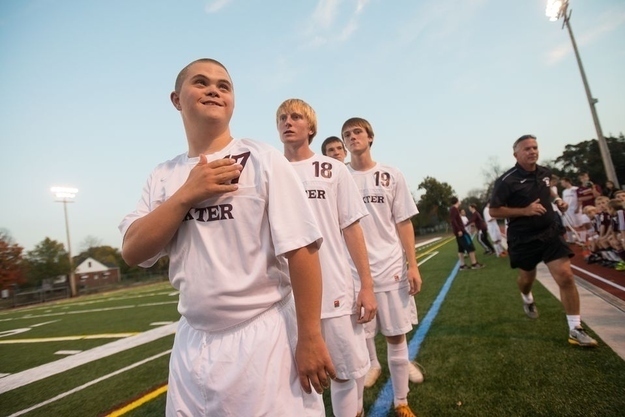 Who includes Down Syndrome patients in their soccer team? But this Michigan Soccer Team did something no other team can do. They gave a boy with Down Syndrome an opportunity to play soccer. Who knew police officers could be so kind and thoughtful? After all, their job is to catch the bad guys, isn’t it? But no! Their real job is above that. 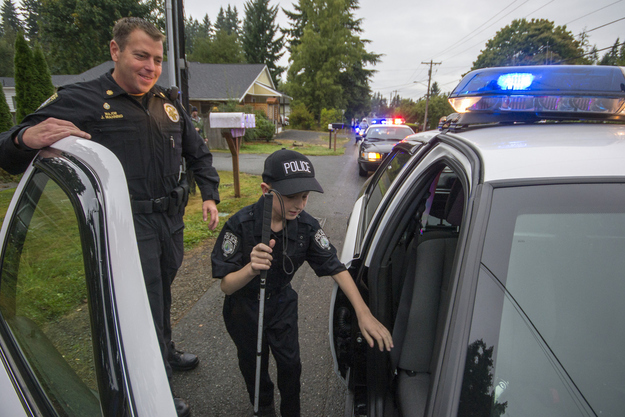 This photo of police officers who made an ordinary blind boy happy by making his dream of becoming a cop come true. While stories of generosity surround the internet, nothing can be as inspirational as this one. 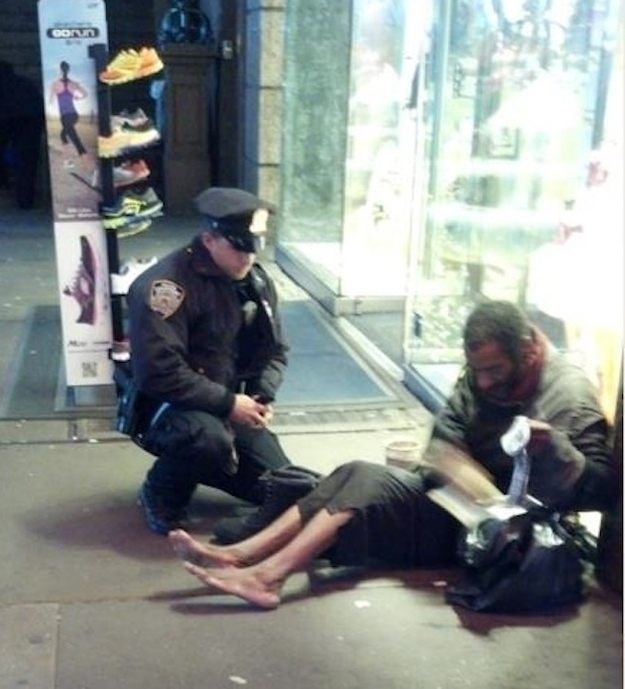 The best thing is, this police officer who bought shoes for a barefoot homeless man and squatted down to put them on his feet, did not know that his picture was being taken. This story is a true depiction of what a role of a police officer should be. This presentation of human kindness is motivational for all people working in Law Enforcement. Parents always do great things for their children…but this photo is simply heart touching. It shows the couple with insulin pumps tattooed on their bellies so their diabetic son won’t feel bad about himself. 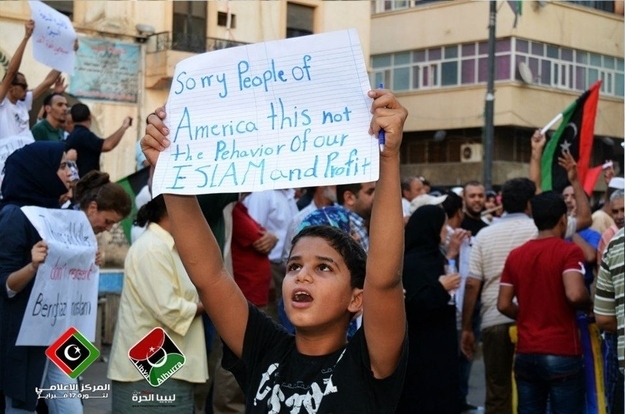 In the ongoing conflict in Libya, this brave child stands up against everyone who is promoting hate in the country. We all think about donations when a natural disaster hits a country. However, this homeowner thought differently and did something more useful than any donation could do. 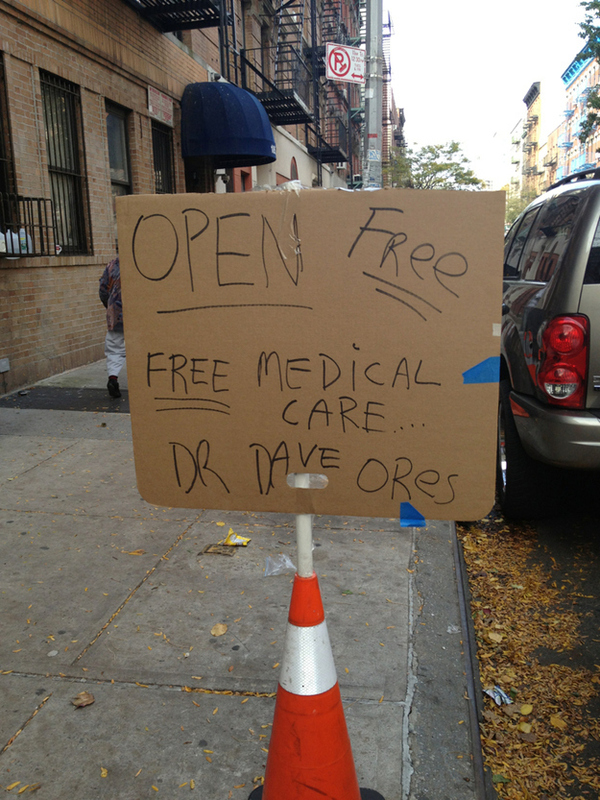 In a country where health care prices are sky-high, this offer by a doctor who feels wholeheartedly for the victims of Hurricane Sandy, truly means a lot. What do we do when we see a car parked on the street with a window that is slightly open and rain pouring inside? 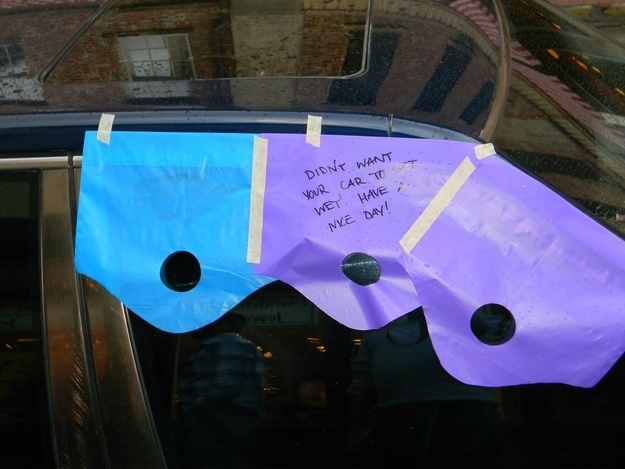 We would probably feel bad for the car owner and pass it on our way. However, this stranger did what we probably never thought of doing. This man, Scott Widak, suffers from Down Syndrome and Liver Disease and loves receiving mail. But who sends mails these days especially to a sick person? But there are still some good people out there. The man’s nephew posted his P.O Box on Reddit and hundreds of users responded by sending gifts, letters and packages to this man. I can imagine his expressions. It would have brightened his day, no doubt. These could be called the best parents ever who got their creativity to work and created this amazing costume. 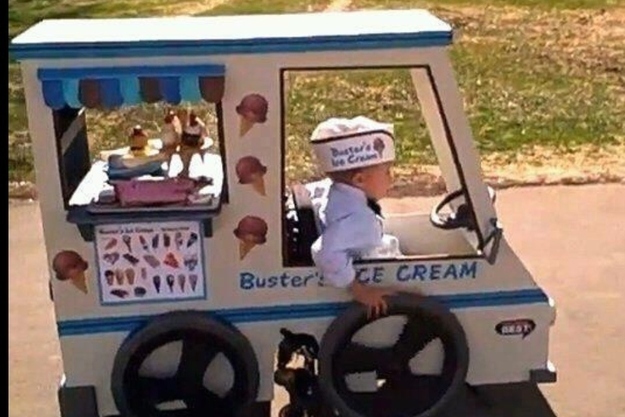 Children would have no doubt felt envy for this little boy’s costume as he rode his ice cream van through the neighborhood.